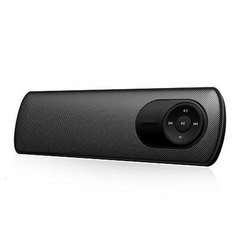 Prominent & Leading Supplier and Wholesaler from Mumbai, we offer Bluetooth Speakers such as Hang Hook Bluetooth Speaker, Rectangular Bluetooth Speaker, Triangular Bluetooth Speaker and Bluetooth Speaker. 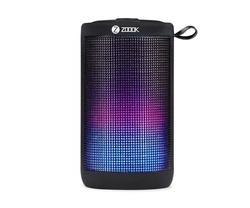 Experience a combination of audio-visual treat with Zoook Rocker 2 as it comes with bright, glowing LED lights. These lights are sure to change your mood and atmosphere. You can select from the 6 available light patterns of this speaker which comes with 64 LED lights (can also play without LED lights). The Zoook speaker has a powerful, rechargeable lithium-ion battery of 4400 mAh to offer uninterrupted and longer hours of playback. It can play up to 10 hours constantly and if the LED lights are turned off, then the battery performance of the speaker system increases. The charging time for this device is 4-7 hours. 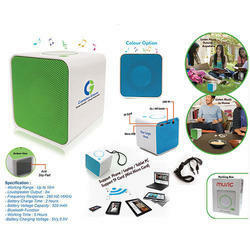 Connect through the Bluetooth, TF card, USB, AUX or micro USB for easy media sharing and playback. The Bluetooth range is up to 10m and theBluetooth version is 2.1+EDR. 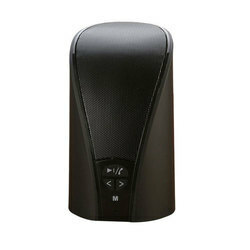 Additionally, you can use the speaker as a hands-free speaker phone to attend any incoming call. 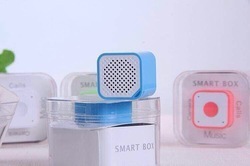 A waterproof Bluetooth Speaker which is equipped with a suction cup that sticks to nearly any flat surface allowing it to always be within arm’s reach. The Powerful Bluetooth shower speaker delivers full, natural sound from an ultra-compact speaker that fits in the palm of your hand. 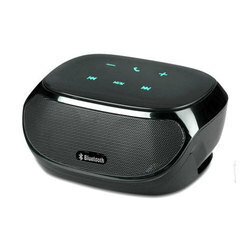 It has a wireless connection to your Smartphone, tablet or other Bluetooth device, so you can listen to your music or FM Radio anytime, anywhere. You can easily pair, stream, and control your tunes via integrated Bluetooth support and it is compatible with your digital devices. This is one feature rich microphone form MicGeek Q9. It is mostly used for a karaoke performance. The package comes in a black pouch, a microphone and two connectable USB wires. 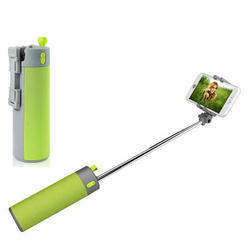 It has a wireless communication, it fits for a smartphone, PC and a car. It connects to these via Bluetooth. It operates with batteries. The transducer is a condenser microphone. The design and form factor is free standing, hand held, and the pickup pattern is a cardioid. 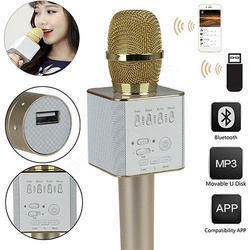 The compatible brands with this microphone are, Huawei, iPhone, Samsung, Mi, iPad etc. 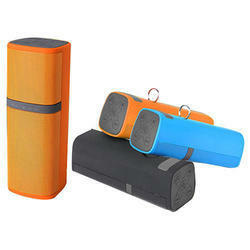 Sturdy built portable BT Speaker with USB port, Micro SD slot, built-in FM, AUX. One can take calls via the call button and speak back with built-in Mic. Packaging Details: Customized Logo and Packing is available on request. Packaging Details: Customized Packing on request. It''s portable speaker. It has a unique and sleek design and is black in colour. Other features include. 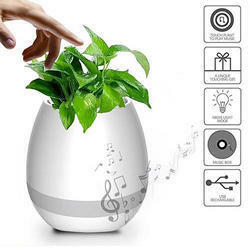 The crisp sound and vibrant audio produced by it will enlighten your musical senses. 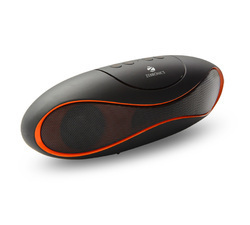 Tracks from all phones with USB support, laptops, tablets, and all USB media and MP3 players enabled devices can be played via this Potronics speaker. Zoook ZB-Rocker is a perfect combination of Bluetooth + TF card player + FM radio and AUX which makes this speaker all in one. 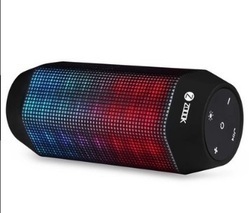 It has Bluetooth speaker with voice control LED. Also one can stream wireless music from the tablets, smart phones, laptop, iPad, iPhone and many more, or use the included AUX 3.5mm cable to play music from non-Bluetooth devices. 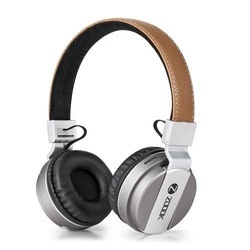 Zoook Rocker Bomb is a premium, lightweight, wireless and flawless 4 in 1 headphone with FM, aux, Bluetooth and TF that offers immense connectivity options to suit your needs. With very good bass it provides the soothing clarity that gives you the best listening experience without worrying about the wires. We bet you can't get a better product in this price segment, the bass and clarity will blow your mind. Enjoy your music even when the battery is over as you have the option to connect it even with an aux cable. 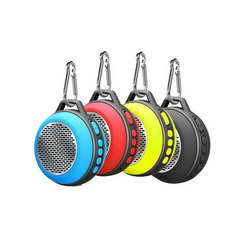 Specification:-Travelling Bluetooth speakers A-26-Adjust way: buttons-Function characteristics: EQ mode, Bluetooth audio input, Bluetooth hands-free calls, the LINE, IN TF card-Battery : 3.7V 1800mA-Charge Voltage : DC 5 v, 500 mA-Effective power: 6 w-Sensitivity : 80+2db-Signal to noise ratio: >80 db st13-Frequency response : 180 hz – 20 KHZ-Playing time: 3-5 Hours approx.-Speakers weight: 350 g-Transmission Distance : <10 mAccessory : 1 USB cable and Stereo Audio Jack. Small and a good quality speaker. Easy to carry with great space for logo branding. 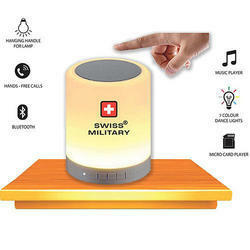 This smart box speaker come’s with a remote camera shutter, as well as Bluetooth anti-lost technology, which alerts the user that the connectivity is lost if he/she goes farther than his connected device, in this case farther then 10 meters which is the range of these Bluetooth speakers. High quality stereo audio data transmission makes sure that you get to listen to clear music, before you use this you need to get the smart box speaker app which will assist you in activation all of its functions. It supports any mobile device comes with Bluetooth function such as IPHONE, IPAD, Samsung Galaxy/Note/tablet, Laptop, Tablet PC, etc. 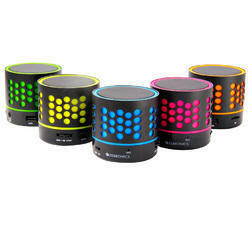 Wireless portable mini Bluetooth speaker system. Built in rechargeable battery , charged by computer via USB interface. 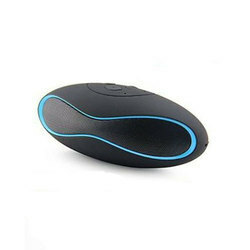 Portable Wireless Mini X6 Bluetooth Speakers for Smartphones, MP3, MP4, Tablet PC,Laptop Compact and portable,convenient to carry. Enjoy your music on the go, everywhere you go. The SOUNDLOOP speaker delivers full, natural sound from an ultra-compact speaker that’s fun, sporty and fits in the palm of your hand. It connects wirelessly to your smartphone, tablet or other Bluetooth device, so you can listen to your music, videos or games anytime, anywhere. Just grab it and go. Supports FM, TF Card, Line In and USB functions. 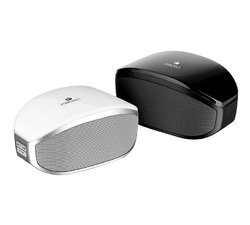 We are a well-known organization that is engaged in manufacturing and supplying high quality Portronics Speaker. Demanded by customers across the country, these speakers are provided in several models for fulfilling the needs of every individual. Apart from this, we properly check all procured speakers on various parameters to assure flawlessness. 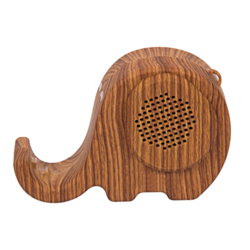 Wooden speakers that can be connected to your phone in an instant via Bluetooth, they look aesthetic with the elephant design, it can even be considered as a cool showpiece to have around your house, but this portable speaker can be carried around anywhere, and will assist you in amplifying the volume of any music you want to play once you connect it to your smart phone. Furthermore the wooden built of this speakers is even better fro the voice distribution so you will get high quality sound when you play your music through it.